Join us this Labor Day Weekend in Los Angeles to celebrate all of the hard-working people of America! Visit multiple venues in one night, and enjoy exclusive perks including drink specials, express entry, and no cover charges. This Hollywood club crawl will show you the best of LA nightlife in style, so you can experience the best nightclubs in LA. Like a Hollywood pub crawl, only cooler, we’ll be going to up to 4 venues in one night! Meet us at the first stop to check in, meet your hosts(s), and start partying with fellow party goers. From there, we’ll move from venue to venue as a group, enjoying exclusive drink specials, party games and VIP entry along the way. 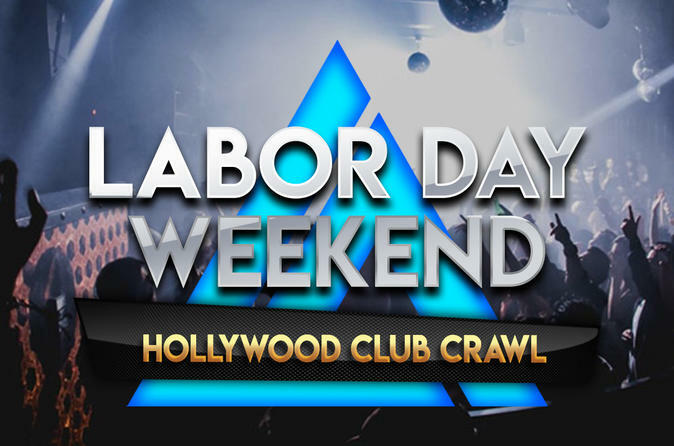 Feel like a true Hollywood VIP on your Hollywood crawl with LA Epic Club Crawls!